I would want to reiterate the same example that my mentor says which is very simple and gives the exact gist of the makeover of our lives. 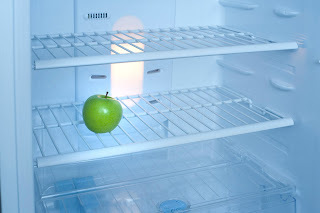 Why does an apple in a refrigerator be fresh? The reason is very simple; it's because of the environment that's provided by the refrigerator to the apple to keep it fresh. This is a very simple example about the environmental influence. Similarly, in our lives also there are more chances for us to get in tune with the kind of environment we are surrounded with. Your character is determined by the 5 people that you spend your time with. This was a statement that I heard almost 3 years back and ever since then, I have made sure that I have spent my time with the 5 chosen people who I believe are as ambitious as me. Once again, even this anecdote speaks about environmental influence. In one of our recent discussions with our team, our technical expert unexpectedly started talking about how the marketing needs to be done for one of our upcoming projects. The same person who would be more concerned on the technical part of the work was here speaking about marketing and that too about the convincing of the customer on the pricing. All the marketing people in the meeting were dumbfounded and were gaping at our tech-expert. When I went back to dig into the reason as to how this unexpected lesson was thrown across, I understood that it was because of the environmental influence. Many a times, our technical team is involved during the discussions of marketing aspects and as a result, even without any practical training, some of the intricate topics of marketing have got subconsciously engraved in the minds of our tech team as well. Just by the environmental influence if a techie can grow to an extent of advising the marketing personnel, I think we must salute the environmental influence cast by great men and women. Just by being around with such people can make us leaders. That's how powerfully this external environmental influence can work wonders in us internally. You can cast your influence through your comments.